HomeFeatures Current features Referendums: asking for trouble? ‘Referendums are dangerous for Europe’: this is a lesson many observers of EU politics have drawn over recent years. For decades, most national referendums endorsed EU membership or policies. Yet since 2014, the European cause has been at the ballot box six times. And it hasn’t always fared well. Most notably, referendums have brought about Brexit and approved Swiss restrictions on immigrants inconsistent with the country’s treaties with the European Union. So it’s no wonder that a binary, snapshot decision makes many in favour of European integration nervous. Yet referendums can also be understood as embodying the principles of direct democracy. Democracy was used as a justification for calling the UK referendum on the EU, and to justify the subsequent decision: to leave. Brexiters argued that decision-making in Brussels was undemocratic, and it was time to ‘Take Back Control.’ So are referendums good or bad for European democracy? The EUI Times spoke to experts at a recent Robert Schuman Centre workshop about the challenge referendums pose to the EU. Europe is not usually an issue national electorates care about, but referenda can encourage democratic engagement beyond the member state. ‘We know that European integration influences all our lives. But often, if we read the press or listen to what politicians are saying, it’s not on the agenda,’ Swen Hutter told EUI Times. ‘It is very rare that European issues are very visible to the common citizen and the wider public,’ he said. However, with the exception of the UK ballot, the recent round of referendums have been about specific policies that the EU is pursuing in such fields as migration and economic stability. Richard Rose calls these intermestic policies because they have both an international and a domestic significance. However, whilst referendums may promote the integration of European and national level politics in the consciousness of electorates, often it is not on terms that EU policymakers feel comfortable with. European citizens who disagree with EU policies about money or migration can, as national citizens, use their referendum ballot to challenge EU measures. ‘People don’t think that their voice has influence. They feel they live in a democracy without choice, and they are not completely wrong about that,’ said Corina Stratulat. A referendum can be a means to ameliorate this disaffection, increase democratic participation and engage voters in a political system which often feels distant. Yet whilst referendums mobilize people to vote on a specific issue of policy, it is not always clear quite which issue is at stake. Voters may use the opportunity to express discontent about other policy areas rather than, for example, whether they favour more European integration or stricter national boundaries. Despite being an explicit question on an issue of EU policy, all too often governments, who are usually the subject of political decisions, inadvertently become the object of a vote explicitly about another topic. Whilst the June 23rd UK vote was explicitly about membership of the EU, and the Italian December 4th vote ostensibly about constitutional reforms, both became opportunities to support or protest the incumbent government. This confuses the mandate for the question specifically asked on the ballot paper. Yet, ‘even if a referendum binds a national government it does not bind the EU’, notes Richard Rose. The Greek government learned this when the EU refused to accept the mandate that the Greek government claimed it had for dealing with the Eurozone. Indeed, while the British government can unilaterally withdraw from the EU, it cannot make the EU agree to letting the UK have its cake and eat it in its post-Brexit relations with the EU. Certainly, the calling of a referendum on the fundamentals of Europe is a high stakes game. Yet ‘it is not per se negative that people get the choice on Europe,’ said Swen Hutter. National referendums on issues of EU significance have become dangerous for EU integration because mainstream parties have failed to make a 21st century case for the European Union, argues Rose. In the past, they relied on citizens giving passive acceptance to EU-level decisions, and therefore left a forum for anti-EU sentiment to foster. ‘Those who want more integration have tended to rely on generalities and statistics that do not connect so well with the priorities and emotions of voters’, said Rose. Meanwhile, ‘Europe is an uneasy kind of issue so for a long time, mainstream parties left it to the radicals on the left and right,’ Swen Hutter said. As a result, referenda debate on Europe have been ‘dictated in their terms – about the fundamentals and not how policy affects everyday life,’ he explained. In this way, anti-Europeans have successfully challenged mainstream parties that accept policies which favour Europe, but may have specific negative effects on parts of their national electorate. And as a result, referendum campaigns have seen the negative case against Europe hammered home with a conviction Europhiles could not counter. Referendums are risky for everyone: anti-Europeans as well as Europhiles. Since the Brexit decision, the British pound has fallen substantially, and Switzerland’s economic relations are threatened by a referendum decision to restrict migration. Yet, given the tendency of referendums ‘to promote a binary vision of the world, they are probably a more comfortable playground for populists,’ Elias Dinas said. Whether one thinks that referenda are good or bad for Europe, they have certainly challenged the assumption that national electorates favour the European project. Anti-Europeanists in countries as diverse as Italy, Austria and the Netherlands are voicing demands for referendums that challenge major EU policies that their government has supported. Yet ‘it remains to be seen whether, and under what circumstances, referendums are called in the future,’ said Richard Rose. It is clear that ‘referendums need to be used with extreme caution,’ said Dinas. For whilst there may be many quiet Europeans, there have been few vocal advocates of the EU within mainstream political parties giving real challenge to anti-European sentiment. As a result, when the European issues are politicised in a national referendum campaign, EU advocates are not always capable of defending them. 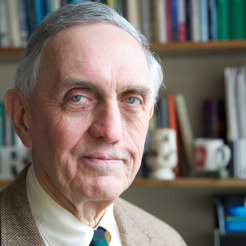 Richard Rose has received an honorary doctorate from the EUI for his pioneering work on comparative politics and public policy as Director of the Centre for the Study of Public Policy at the University of Strathclyde. He is a Visiting Professor at the Wissenschaftszentrum Berlin and the Robert Schuman Centre for Advanced Studies, and is a speaker at The State of the Union 2017. 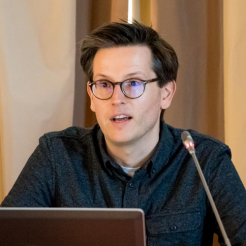 Swen Hutter is a post-doctoral research fellow at the European University Institute, where he works on the ERC project ‘Political Conflict in Europe in the Shadow of the Great Recession’ (POLCON). His main research interests include social movements, political parties, political participation and cleavage structures. He is a speaker at The State of the Union 2017. 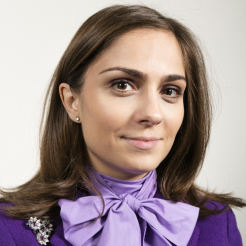 Corina Stratulat is a Policy Analyst in the European Politics and Institutions Programme of the European Policy Centre. She is an expert on EU integration and enlargement, party politics and CEE politics and democracy. She holds a PhD in Political Science from the EUI. 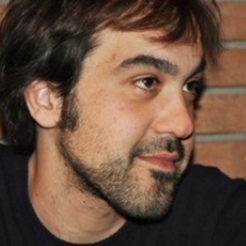 Elias Dinas is a Tutorial Fellow in Politics at Brasenose College and Associate Professor in Comparative Politics at the Department of Politics and International Relations, Oxford University. His PhD in Political Science comes from the EUI.